This Sausage Mushroom Risotto is one of my favourite go to recipes if I want a tasty, quick(ish) and filling meal. 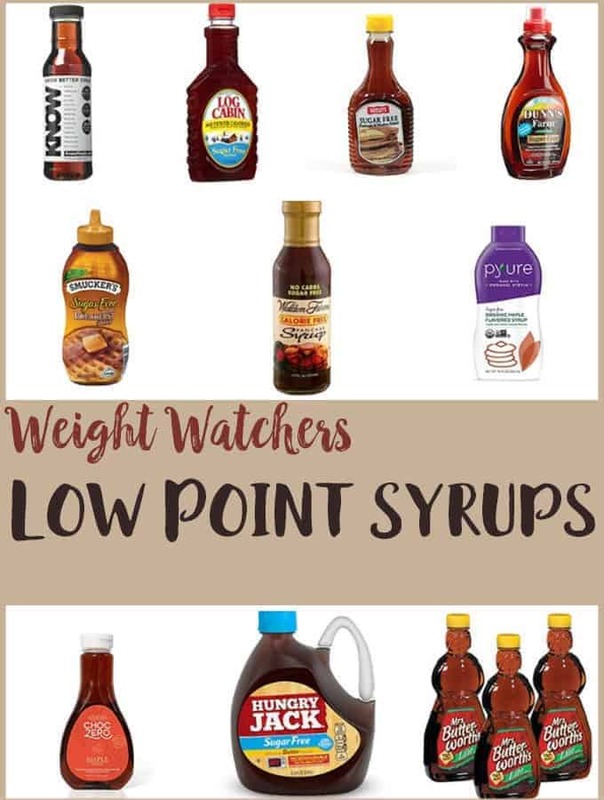 It is just 4 SmartPoints on Weight Watchers Freestyle plan. If I have the points spare & I’m feeling particularly hungry I’ve been know to have two helpings! The risotto is 4 Smart Points on Weight Watchers Freestyle plan, based on the recipe being enough for four portions. The portions are small but are also very filling. I tend to use M&S skinny sausages in this risotto but if you want to lower the Smart Points even more you could use Heck Chicken sausages. If you do use Heck chicken sausages, I would suggest leaving the skins on though – just chop each sausage into 4 before baking. 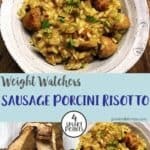 This recipe is adapted from the tasty Sausage and Cherry Tomato Risotto recipe from Weight Watchers Kitchen Secrets cookbook . The Porcini mushrooms give the risotto a deep, rich flavour and makes it a lovely, satisfying and comforting meal to have on a cold winters night. The knack to making a fluffy risotto is to add the liquid bit by bit. This means that this recipe is not one that you can wander off and leave whilst you do other things! You need to be close by, stirring the rice and adding more liquid once the previous liquid has been absorbed. Way to reduce the SmartPoints in this recipe! 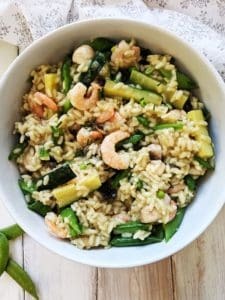 Like Risotto? 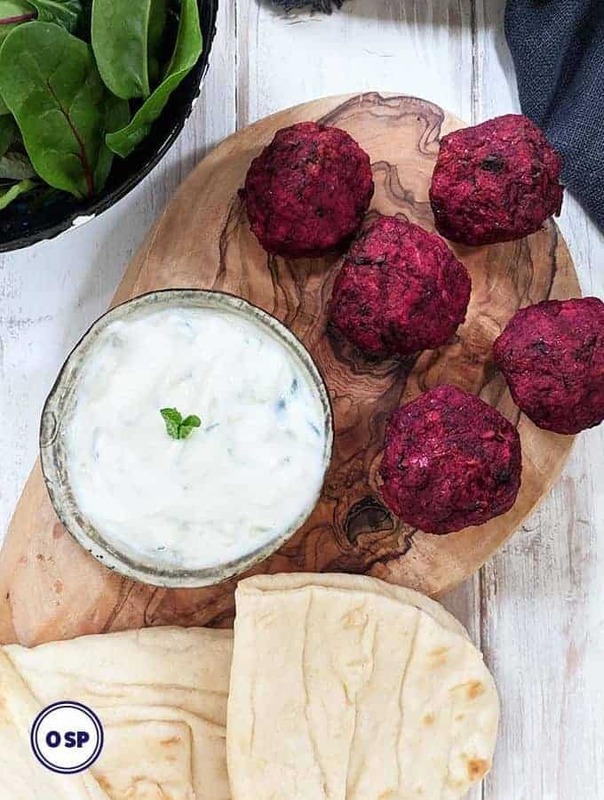 You may also like this recipe! 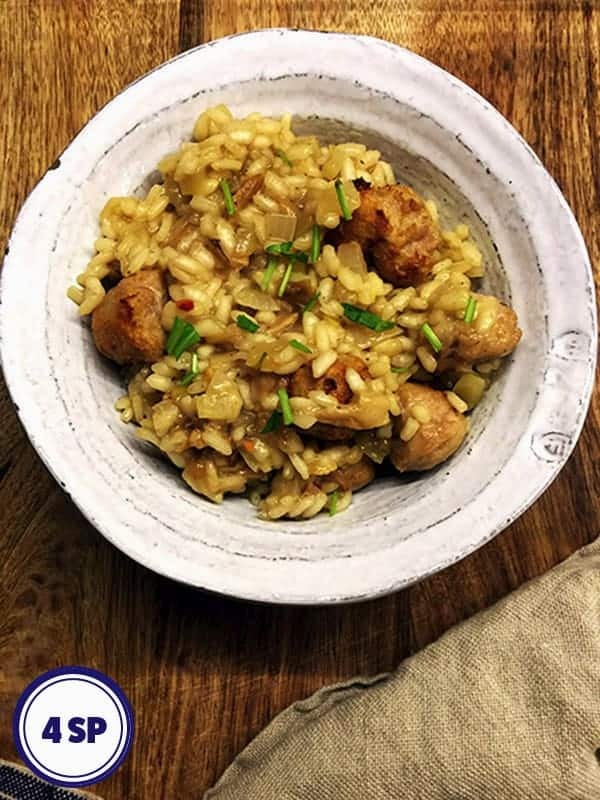 This Sausage Mushroom Risotto is 4 SmartPoints per serving on Weight Watchers Freestyle plan. Preheat the oven to 200oC / 180oC Fan / 400oF / Gas mark 6. Place the dried mushrooms into a large bowl and pour over 500 ml boiling water. Soak for 20 minutes, then drain into a bowl, retaining the mushroom water to use to make the stock. Chop the mushrooms and set aside. Whilst the mushrooms are soaking, mist a baking tray with frylight and squeeze the sausage meat out of the sausages directly onto the baking tray. You can then discard the sausage skins. You want to make approximately 12 - 16 sausage balls. Cook for 25 minutes turning occasionally. Make the stock by using the mushroom water and crumbling in a stock cube. Add more boiling water, if needed, to make 500ml of stock. Whilst the sausages are cooking, spray a large frying pan with frylight and add the chopped onions. Cook and stir for 5 minutes until the onions have softened. If the onions start to stick to the bottom of the pan, add a splash of water to prevent this. Add the rice to the onions and stir for a minute or two before adding the wine. Cook for 30 seconds or so to let the alcohol burn off. Stir in the chopped porcini mushrooms. Keep the pan over a medium heat and start adding the stock, bit by bit, whilst stirring often. You want the rice to absorb all of the liquid before you add more liquid. The rice should start to plump up and become creamy and tender. By the time you add the last of the stock the rice should be cooked. 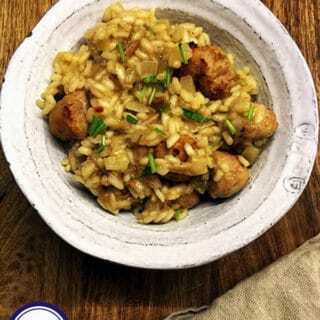 Remove the risotto from the heat and add in the cooked sausage balls before serving. 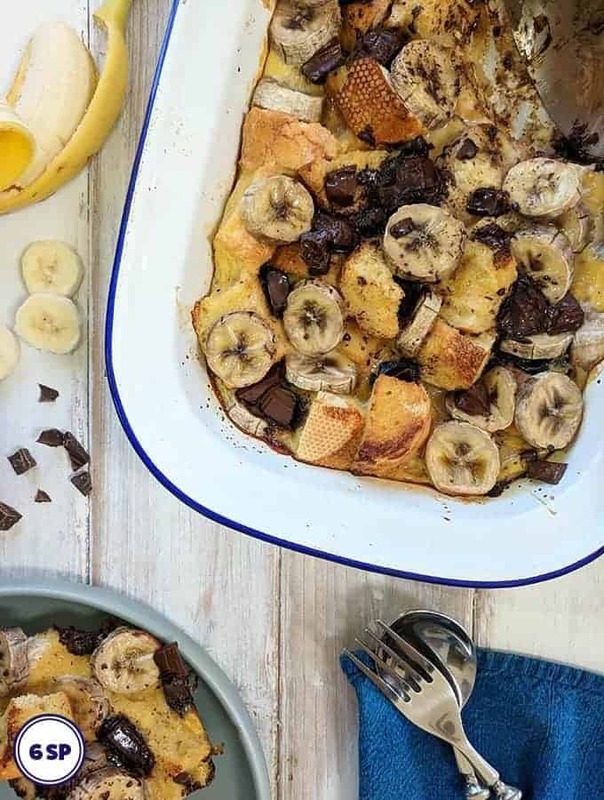 PointedKitchen.com has calculated Weight Watchers SmartPoints based on the individual ingredients used to make this recipe and not from the following nutritional information.